This month, we're pleased to feature Dr. Sidney Glina in the Member Profile section of our website. 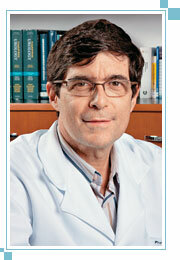 Dr. Glina is from São Paulo, Brazil and has been an ISSM member since 1986. He is a past President of the ISSM and will co-chair the next World Meeting on Sexual Medicine to be held in São Paulo in 2014. Please click here to see Dr. Glina's complete profile. And to see the profiles of other ISSM members, please click here. Female genital cutting (FGC) leads to sexual dissatisfaction later in life, say British researchers. In the study, researchers from Kings College in London compared sexual quality of life scores of women who had undergone FGC to women from similar cultural backgrounds who had not been cut. They found that the scores of women who had gone through FGC were an average of 26.4 points lower than those of women who had not experienced FGC. The study was published online in October in BJOG: An International Journal of Obstetrics and Gynaecology. Click here to learn more. We welcome suggestions for Q & A topics. Please feel free to submit yours at QandA@issm.info. Don't forget that access to our Member Forum is a useful benefit for all ISSM members. In the forum, you and your colleagues can discuss problem cases, share suggestions, and offer support. Click here to join a conversation or start a new one!